Traditional use of magic, which has great corrupting influences is called Dubhdroiacht by the Druids of Scosglen. Schematics and notes about Magic from the Diablo I Manual. The primal arcane magical force that pervades Sanctuary is usually called "Mana", or Dubhdroiacht by the ancient Druids of Scosglen. Individuals skilled in sensing this power can channel the spiritual essence stored in their bodies through different techniques in order to accomplish great feats that they would be physically incapable of doing. In Sanctuary, there are several divisions of magic, and great mage clans dedicated to learning all the secrets about this force. Magic is not commonly accessible by just any man, but some people can use a minor degree of magic power to do very basic things. A very small minority of people have the additional magical spark and the great willpower required to control magic in a way that is more significant in effect. The culture of the Western Kingdoms is more negative toward magic than the Eastern ones, while they still hone the art of potion-crafting, which involves some magical components. Across the lands there are also remnants of old and magical items like rings or amulets that can still be found and used. The two primary planes of reality are the Physical plane and the Ethereal plane. The visual effects of magic becomes apparent when the two planes interact with each other and create turbulence. Some scholars try to explain the interaction of the two by likening the physical world with the sky and the Ethereal realm of magic with the ocean. The appearance of spells are much like the turbulence that occurs where the two interact with each other. During the Sin War, Demon and Angel alike wrought powerful magics that threatened to tear the fabric of reality apart. The physical and magical realms began to blur and merge, which in this example would be the equivalent of a fierce hurricane. There are several types of magic which can be categorized based on the source of the energy. It's unknown exactly how it works, but it's likely to come from a representation of a power in the Ethereal plane, and that is where it is channeled it from. The bits and pieces of a spell can therefore be channelled as Holy magic, Prime magic or Elemental magic, for example. A group name for magic, but also the most advanced and powerful of incantations. Can be used to manipulate the flow of time, and is considered highly volatile and dangerous. Magic channelled through other entity or source of power. Effects are subject to the source. Magic channelled from the Burning Hells. Very corrupting and unreliable, but also has great raw power. 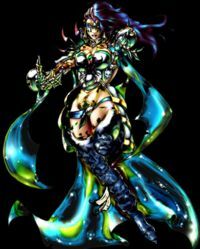 Can summon demonic entities or bring forth destructive powers. Can be obtained through just accessing demonic energies as a skilled sorcerer, or through a pact with a demon of some power. Sometimes called the power of Chaos. Magic channelled from the deity of the subject. Effects are usually limited to the deity's sphere of influence (ie: a god of fire will allow the subject to cast spells of a fiery nature), and their own whims on who should have the power. Magic channelled from the High Heavens. A person must be granted this ability. Used mainly to battle the Undead and other demonic forces. Elemental magic can sometimes be channelled through the Holy force, as can the essence of Life. Sometimes called the power of Order. Using nature itself to channel magic energy. Nature spells are often more "primal" in nature than Elemental spells, and involves specific aspects of nature, or nature's spirits. Very different from other forms of magic, but can channel some elemental effects through it. Additional magic in the world attached to spirits of different kinds. Not much is known about this source of power. It's not known if Death is part of the spiritual energies or not, but the essence of death is part of the Great Cycle of Being rather than only Dark/Demonic/Chaotic magic, even if they DO use death. Death is the opposite of life and death magic will hurt living creatures. It's not known if Life is part of the spiritual energies or not, but the essence of life is part of the Great Cycle of Being rather than only Light/Holy/Order magic, even if they DO use life. Life is the opposite of death and life magic will hurt undead creatures. Magic channelled from inside the body. Used mainly to allow the body to accomplish feats that are otherwise impossible. Can also be used to curse a target. "Standard" type of magic. Can be very forceful and full of power. It's relatively easy to form Mana into a flame, and to control it into a form, like a bolt, stream ball or wall. Used almost exclusively in a destructive manner. It's easy to transform Mana into electricity, but hard to control. Used for casting bolts of lightning on foes, move objects, teleport or create a damage-absorbing shield. Drawing all heat out of a small area to create ice or frost. Used for damaging and chilling any would-be enemy of the sorcerer. Not as destructive as Fire or Electric magic, it can be more useful as a personal defence, or subduing an enemy. Wizard using her Disintegrate ability. Magic is an extremely powerful force and it has been studied my mages and scholars for hundreds of years, but the force is also very elusive and the power is never fully mastered. A "spell" is a magical incantation or kinetic movements that help weave and organise channelled Mana into a higher structure of useful effects. The Forces of Order sought to preserve the fabric of reality by limiting the power of mortal man using the Worldstone. This is why so few can wield magic, as much energy is lost in the transition of power between the two realms. As a practitioner of the arcane arts grows more knowledgeable he is able to create these effects with greater efficiency, resulting in spells that are more potent, have more endurance and drain less Mana in their casting. All schooled sorcerers spend hours studying these spells to learn how to master them and to improve their efficiency or power. After years of training, they will be able to cast spells with less "wasted" Mana, and with greater precision, making the spells more powerful while using less Mana for the same effect. Many of Sanctuary's denizens can feel the aura that shines from spells, even if they can not interact with it. Hair rising at the back of your neck does not have to be a cold wind, it can be a reaction to nearby use of magic in sensitive people. While a powerful man might accidentally use magic without spells, this causes a jolt of energy to rush forward from the Ethereal plane, and the "spell" is as likely to kill him as doing anything else. Organised spells can be very intricate and specific or used for general chaos, depending on the intended effect. More complex spells will not necessarily require a lot more Mana, but they generally do. Sanctuary is an absolutely huge world, and travelling from one end to the other of the known world will take a considerable time. Magicians around the world have naturally done what they can to decrease the time they travel, even spending years in research on how to do this. The powerful Horadrim brotherhood were the most advanced magic users at the time and they devised many ways to transport quickly without physically exerting themselves. Waypoints are part of a network of teleportation nodes created by the Horadrim during the Sin War to provide instant travel from one place to another. The reason why this was so crucially necessary was that they did not know where the demons could appear next and it was essential that they could swiftly combat the forces of Darkness, even when the attack was located in an outlying region a considerable distance from a town or settlement harbouring Horadrim mages. The network is built up from rune-inscribed stones infused with magical power of enough strength to teleport a user to another similar stone. The traveller need to be physically standing on the stone to use it's power. The knowledge to create new Waypoints has since been lost, but some of these magical rocks can still be accessed and used. They remain as a legacy to the Horadrim's once-great power and the value of these devices cannot be denied. Waypoints seems to be closely associated with the Town Portal and Teleport spells. The Town Portal spell seems to be closely related to the Horadric Waypoint network, and uses similar magical components to the Teleport spell. However, it does not seem to require runes as a physical component like a Waypoint. The Brotherhood constructed numerous magical gateways between their mighty fortresses and settlements so that they could quickly concentrate their defences against any incursion by the Demons. With but a thought, the Crusaders of the Light could transport themselves to predetermined destinations many leagues apart. It's likely that there are Waypoints with additional magic infused into them to allow the use of a Town Portal spell to the vicinity of that Waypoint. A Waypoint located at a former Horadrim fortress or settlement site could be what enables Town Portal spells to bring you there. If this is the case, it might be possible for a Sorcerer with enough skill to use a similar spell to teleport directly to a Waypoint. The town portal spell could also use a completely different set of teleportation nodes to the actual Waypoint network, made specifically for retreating back to the nearest safe place, and nothing else. Although the secret of creating these gateways as well as the Waypoints has been long lost, it is still possible to use the pathways that are already in place. A Portal opened by means of this spell will always take the caster to the location of the nearest gate and remain open long enough to bring the caster back to his point of origin. The Tristram Cathedral is built upon the remains of a Horadrim monastery, and has at least in the past harboured a portal gateway nearby. The Teleport spell is a way for trained magic users to traverse the Ether, and materialise in another location with the speed of thought. This skill works without the aid of external gateways like the Town Portal spell or Waypoints, but is likely using similar techniques to transport. The Teleport spell is only reliable for short distances, like teleporting up a few stories in your tower apartments, or to escape imminent danger. It's unknown why the spell is only usable in short distances, but the likely scenario is that it becomes significantly harder to return to the Physical realm, the farther away you try to re-emerge, and is why these beacon-like gateways have been made for Waypoints and Town Portal spells. Somewhat related to this topic is that of beasts capable of traversing both the Physical and Ethereal plane at the same time. One example of this is the demon called simply: "the Hidden ". Used by Diablo when he corrupted Tristram, the demon is capable of phasing in and out of the Physical and Ethereal plane, essentially walking the line between them. This creature will travel on the Ethereal realm until someone is vulnerable to ambush. If wounded, he can phase back into the Ethereal plane to heal his wounds. What is interesting is that he never truly leaves either plane, and although he might be invisible, he's still possible to hurt with spells or effects if you know where he is. Magical spells that target automatically can easily find them, as their power originate from the Ethereal plane, making the Hidden as visible as ever. Whether this creature is capable of travelling through the Ethereal plane in a similar fashion to the Teleport spell is unknown, and they have not been seen for the last 20 years in the physical realm. They may have been hunted to extinction by the Hero who saved Tristram. There are different ways to summon companions, servants or familiars for casters of Sanctuary, it can be done with very different types of magic, and will produce very different types of summoned creatures. Everything from a small hellish Imp (that's harder to control than you might think), to a larger demon, a divine Valkyrie of Athulua, to nature spirits and the Holy Hammer of Ghrab Thaar can be brought into our physical realm with the right magical affinity. Archangel Tyrael doing something powerful. Divine summonings usually require not only affinity with supernatural powers, but also a great dedication to faith in the deity or other Divine power that is willing to grant intervention. Sanctuary is separated from other planes, and this makes it hard for extraplanar creatures and entities to affect our realm. It's similar to the Ethereal realm, where magic is drawn from, and a lot of circumstances must be optimal in order to allow Divine creatures to manifest on our plane, or using any form of magic. For a magician, it's a matter of being attuned to magic, but a priest, cleric, Paladin or other believer must instead focus on their inner faith and beliefs. Angels generally don't manifest on Sanctuary, and few (if any) Holy spells are able to call an Angel through to the physical world. Powers of the High Heavens are still able to penetrate, and Holy soldiers such as Paladins are able to tap into this power to expel the forces of Darkness, much like Dark Cultists can use powers from the Burning Hells for their own ends. Holy magic is hard to come by, and requires much of the recipient, but is not treacherous like Demonic magic is. One of the few known summonings involving physical representation of Holy magic is the Hammer of Ghrab Thaar in the Paladin Holy Hammer spell. Much like he would invoke the powers of Light, he calls forth the Hammer and it will circulate the paladin, knocking anyone in it's path, being extra powerful against Undead. Deities are much more fickle about who who they will bestow their gifts upon, but as long as the subject belongs to that deity in some level of faith, they can bestow powers or physical representation to protect their ward. The Amazon pantheon is relatively straight forward warfare society, and not particularly fickle. An Amazon warrior who has spent a lot of training in holy studies and warfare might eventually be able to call forth an emissary of Athulua called a Valkyrie. They are the spirits of the greatest heroes from the Amazon people and the power to summon a Valkyrie is the greatest honour that an Amazon warrior can receive. It is believed this gift is a sign that your place beside the Goddess is assured when you pass from this world—perhaps even as a Valkyrie. Of all the types of summonings that are possible through Divine magic, they are usually "gifts" with set parameters rather than anything that's possible to manipulate or change (other than summoning a more powerful "gift"). Quite the opposite of Demonic magic. It's very possible to use the forces of Hell against itself. The problem is the strong corrupting effect this have on the magician, as well as the fact that the entity or forces summoned usually want to take control of the caster. Strict discipline and observance is needed to attempt to summon even smaller demons. The act of making a pact with a Demon Lord or a Prime Evil is not a prudent one, and in most cases there will be loopholes in the pact to allow the demonic entity to take control of the mortal's soul without giving much back. Demonic summonings work the opposite of Divine ones, and involves forcing creatures to our plane, and subduing them. They can also be changed and twisted to the shape that the summoner wishes, if he has the power to do so, and not be turned into a servant himself. Men who do not go into pacts with demons, but wield demonic energies are also likely to end up dead, or worse. Centuries ago, it was common to invoke lesser demons and subdue them in order to gain their power. One such small demon type is the Imp, who made the Sorcerers underestimate their powers and be summoned as familiars. When an Imp had made their "master" trust them, the Sorcerer would find his will subjugated by that of his "servant," who would then vivisect him and create numerous homunculi from the pieces. In time, these homunculi would grow into other Imps. Imps were later found in the battle for Mount Arreat. Aware that its size is a liability in battle, an Imp uses magic to teleport and attack an opponent at range, from a fortified tower position, or even while mounted on the backs of large beasts. A dark cabal of wizards tried to use dark powers they attained through an arcane pact with Hell in order to create a race of creatures as servants. They created a general form of bat-winged imps that they named Alae Nefastus to act as messengers and to carry out deeds that were too trivial for themselves. Each of the wizards embedded power in them that reflected their own specialization on magic and the creatures were small, nimble and possessed an unnatural cunning. The initial impression by the corrupt sorcerers was that the experiment had been a success, until they realised that the Alae did not serve them as loyally as they had hoped. With their cunning, the creatures had taken to secretly feeding from the very essence of their masters, weakening them and eventually killing them. By this time, the sorcerers tried to undo their creations, but the Winged Fiends had been secretly breeding outside of the sorcerer's domains and they banded together in swarms, killing their former masters. Descendants of these Winged Fiends can still be found terrorizing the countryside with their great speed, razor sharp claws, hooked wings and magical abilities. The Undead are mostly, but not always, Evil. Undead can be summoned both through Demonic magic as well as other forms of magic. The Priests of Rathma summons the spirits of the dead into corpses and skeletons, but remain untouched by Demonic corruption. It's possible that this is because Life and Death are not part of Holy or Demonic magic, but rather some sort of Spiritual magic enabling these "Necromancers" to use the undead against Demons without falling to corruption. Read more about it on the Undead and Skeleton pages. There are many different forms of Nature-worshipping and spirits of Nature exists in such a wide diversity that they are innumerable, allowing many different types of nature worshipping in a parallel manner. Different Shaman, Witch Doctor and Druid tribes have spent long time attuning to Nature and can call forth spirits of nature to help them in their task of protecting nature itself. The summoning of spirits is more similar to Divine magic than Demonic magic, with the difference that the nature magician needs to convince the individual spirits to join him, and they will personally stand and fall beside the protector of nature, not calling forth anyone to fight or serve for them. Nature magic is more upfront and personal. Nature spirits usually come in three types: spirit animals, sentient vines, and minor spirits of Nature. Spirit animals are simply spirits that take on physical animal shape, and is usually of higher endurance and power than a regular animal. Sentient vines are different types of plants induced with the spirits of nature, capable of some level of intelligent thought, and willing to help nature's guardian. Minor spirits of Nature are non-physical spirits that can join up with the Nature caster and improve aspects of himself, such as eyesight, smell, strength or endurance. It's not impossible that Prime magic can be used for summonings, in which case it might be a matter of making dreams and thoughts materialised, but there are as of yet no proof of this. Summoning pure Elements contained in magic bonds such as Fire, Earth, Cold or Electricity might make it possible some sort of elemental servant (that isn't part of Nature spirits, or spirits of the dead, forces the Druids, Necromancers and Witch Doctors use), but there have not been any known experiments of this nature. Magic can be used by gifted people around Sanctuary, but the effects are usually only temporary, or active only as long as the caster is concentrating on the spell. If a magician imbues an item with a magical spell, then it's often possible to get a near unlimited magical use from it, or at least allowing the magician to use spells with significantly less personal expense of Mana. Any object imbued with magic exhibits an aura that is easily noticed. To determine the exact nature of this enchantment, however, requires intense study and an extensive knowledge of arcane materials and symbols. It's extremely difficult to master the ability to memorize a spell of this magnitude but the Vizjerei mage clan have developed a means for the untrained to discover the secrets of an ensorcelled object by using a rare crystal that is extremely sensitive to magical auras. This sensitivity makes it very fragile, however and the crystal will shatter if it is brought too close to an enchanted item. The very act of Identifying such an object also destroys the crystal. Scrolls and staves have been crafted and imbued with the spell that identify virtually any magical aura. By using special inks and dyes that contain tiny grains of these crystals, the stability of the crystal is maintained until it is used to examine the enchanted object. The Mana of even a very skilled mage is still limited to his personal abilities, as is his ability to learn the different versions of a powerful spell. The Brotherhood of the Vizjerei discovered ways to use a simple wooden staff as a container for focused magical energy a long time ago. These staves are also often used as a foci for regular spells, and can substantially improve an Arcane user's ability to cast his own spells. Creating such a staff is very time consuming, and requires very expensive paraphernalia to properly imbue with spells. The design for these spell-casting staves is quite simple, however, and even an apprentice sorcerer with the right skill can replenish a staff by just channelling magic into it. While he might need a good knowledge in magic to refill a certain staff, he does not need to know the spell in question. In order to use such a magical staff, the caster needs to have physical contact with the staff with both hands. The use of gloves is usually not a problem, as long as the sorcerer is actually holding the staff properly. Infusing a staff with magic will give it what would appear as a will of it's own, and it can require a quite powerful magician in order to wield it's power. Some are simply too overpowering to even wield. A staff does not need to have active spells in it to be unruly to wield. Some staves have passive spells of less physical effect that constantly affects the user, enabling him to remember spells better or use more Mana before being spent. Precious gems and metals make excellent foci for magical enchantments in addition to staves and is quite popular among any magic user, regardless of school of magic. The process of preparing these jewels into actually magical items is a long lost secret in the Western Kingdoms, but is still used in some of the mage clans. A lot of items created in times long past can still be found, and as many monsters have an affinity for finding people with them, defeating the minions of Hell can be a good way to get this treasure. Another good reason why they are so popular is that since they are so small and located on places such as hands and neck, they are unlikely to be damaged in combat. Magical jewellery pieces have some sort of "maginetic" fields, and will easily be interrupted by other pieces. It's probable that this is because of their small size and relative high density magic in their physical shell. The effect is similar to that of a magnet, but not really. Holding two of these magical rings on the same hand, for instance, will completely cancel out both. Using more than one necklace at the same time will do the same. It might be a combination of the essence of the item, combined with how magic flows in the human body (even in the magically untrained), but there is no known studies made on the topic. However, the result of this is that only three pieces of enchanted jewlery may be worn at any one time: one ring on each hand, and one amulet around the neck. Creating Potions and Elixirs is one of the magical arts that's still practised in the West. It's a combination of herbal essences and magical infusion to create draughts that for example can near instantly mend torn flesh and knit broken bone back together. The reason why this is still practised in the West seems to be mainly due to the more social uses, and them being perceived as "not as magical" in the view of the average person. Some of this magical power or magic healing power can be made through a combination of herbs that will funnel magic into the beverage. For more advanced potion, an Alchemist or magically skilled herbalist will be required. The two most common potions are Healing and Mana potions. Neither is common, but among potions with a magical nature, they are more common than others. Healing potions consist of an unknown combination of liquids, herbs and magical infusion that will have different healing effects depending on the quality of the beverage. They are usually delivered in very small containers but with immense healing capabilities. The effect of a healing potion can bring a dying man to life within a few seconds, healing the wounds in a better way than the body itself can accomplish, presumably leaving less scar tissue. The availability of healing potions vary from place to place. This is the most commonly existing potion. Mana potions are made purely for casters, who rely on Mana in order to cast spells, and will replenish their internal magical reserves. They are essentially consisting of raw magical energy infused into with a liquid edible medium and can replenish energy in a mage that has expended their power. In most cases they will not bring the capabilities of a well rested magic user over his normal limits. While Healing and Mana potions might be the most "common" potions in Sanctuary, there are also potions made to stop disease and poison, heating up a body affected by syndromes of Cold magic as well as improve physical stamina, and bringing new strength to tired bodies. Some of these potions should not be confused with the purely alchemical warfare throwing potions, that can result in explosions or poison clouds. Fortunately, they have a very different consistency and smell. Elixirs made by the greatest Horadrim alchemists capable of permanently affect the imbiber in different positive ways, including making them stronger, smarter or even more agile. Scrolls are specially prepared pieces of parchment that have runes scribed on them with magical ink in order to work as a focus for spells. When a spell is infused, a reader can cast the spell without using any of his own inherent mana, or even knowing the spell itself, much similar to using a magically infused staff. The writing itself is not the full spell. 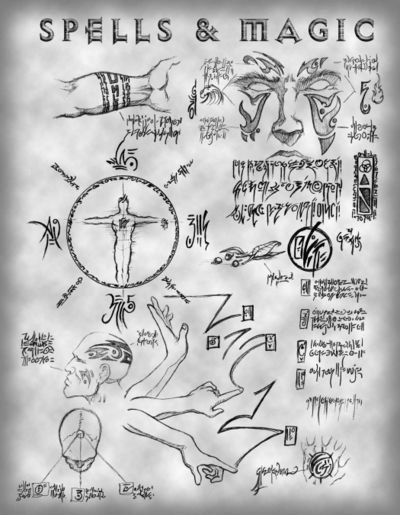 The spell itself is infused into the ink and parchment by scribing it and the actual runes on the parchment works like a keyword to cast the pre-prepared spell. Scroll scribing is a good way to store spells for later use, or for less experienced magicians to use in the case of immediate danger. They are less time complex and consuming to create, which makes them a popular alternative. More complex spells need more complex keywords, and a high level of proficiency in reading these runes is needed to cast the spells from the most powerful scrolls. Even with a quite complex and cryptic writing, it would still be impossible for most mages to learn the actual spell from the writing, or analysing the embedded spell. Any such analysis can't be made sole from the runes, but requires a proper analyse of the magical aura of the spell. This is something most mages would never be able to do. When the magical keywords are read up in a proper way while focusing on the spell in the parchment, the energy of the ink and scroll will release in the shape of given spell and also turn the scroll into dust. The old Waypoint network created by the Horadrim still stands as a testament to their immense magical knowledge, and there are no longer any mages capable of creating further additions to the Waypoint network. A waypoint consists of large stone slabs in the ground inscribed with magic through runes, and will transport anyone knowledgeable enough to use them to another stone that the user has previously activated for his personal spiritual pattern. In addition to this, the old Town Portal gateway system made by the Horadrim might be related, but with a slightly skewed focus, to avoid any Waypoint traveller being damaged by an opening Town Portal. An active adventurer of Sanctuary will once in a while come across Shrines and magical Wells erected in the heart of wilderness, or sometimes even in haunted caves or dungeons. These are speculated to be dedicated to some magical force, deity or natural spirit but the truth is that none actually knows their true function. Drinking from one of these wells usually restore physical life and spiritual mana, as well as endurance, but it naturally needs to be a magically infused well, and not any regular waterhole. Paying homage to one of the shrines can invoke positive magical effects upon the believer, ranging from insight, regenerative powers or ability to run without pause for long periods of time. Most of the wells, and a lot of these magical shrines also slowly regenerate their magical gifts opens up for speculation that they might have been set here by ancient Horadrim mages to harness the ley lines of Sanctuary, and further their power against Darkness. The fact that demonic creatures and monsters generally never touch them also support this theory. The evil forces don't seem to have much problems standing near them, so it might just be a very simple protective spell making it untouchable, or invisible to dark spawns. Any man, woman or entity in power are subject to being corrupted by hunger for power, or just being subject of losing empathy of "lesser" men, women or entities. This is naturally true with magic as well, and great magical power can be even more thrilling than great political power, as you can manipulate your immediate surroundings in an instant. Whether channelling magic in itself will corrupt a person is unknown, but Demonic magic seems to have the ability to do so. It might just be the fact that Demonic magic handles a lot more destructive components than other schools of magic, but many sorcerers and sorceresses have fallen to the demonic lure, and turned against fellow man. The mage wars between Bartuc and Horazon is a prime examples of this, and one of the reasons the mage clans started concentrating more on Elemental magic instead. 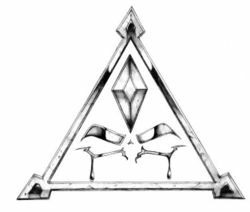 The Vizjerei also formed the Order of Mage Slayers (also known as the Assassins) to watch for rogue magi that may become corrupted by the forces of Evil. To be effective at this task they were trained in abilities that were not conducive to Demonic corruption, and using magical or technological equipment rather than magic by themselves. Ironically, some parts of the "traditional" Demonic magic that involves the manipulation of the dead has seemed to have almost no corruptive powers. The Priests of Rathma, also known as the Necromancers have shown no signs of traditional corruption, despite what many citizens of the world might think of them. Druids shun traditional magic calling it Dubhdroiacht (black magic), and use another path that also seems to be impervious to corrupting forces, namely Nature magic. The Holy magic of the High Heavens and magic through the Amazon deities also seem to be more or less free of corruption. This article is a stub because it needs pictures. Help by expanding it. This page was last edited on 10 November 2013, at 05:41.